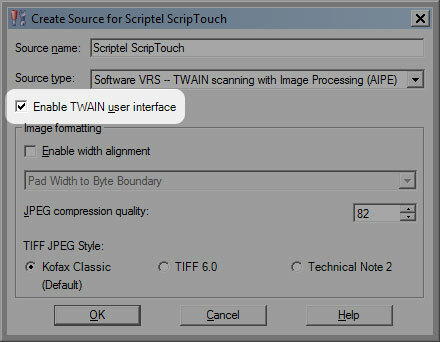 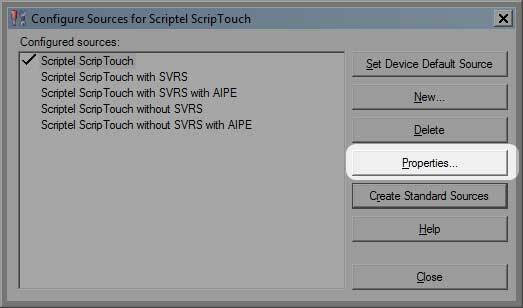 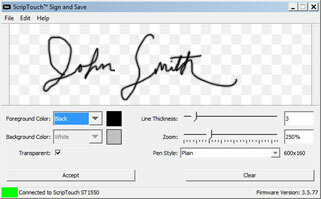 The ScripTouch TWAIN plugin allows all ScripTouch devices to operate as a standard TWAIN device, and to be used with software that supports TWAIN interfaces. 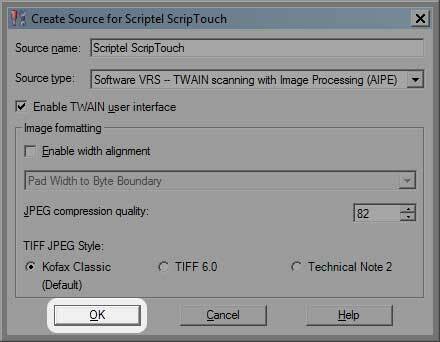 Instructions on how to enable the Scriptel TWAIN driver provided to be used with VRS / Image Controls (TWAIN on bottom) for capture into Image Controls applications such as Kofax Capture. 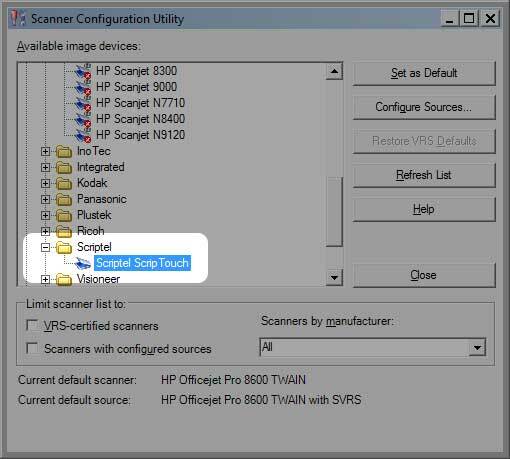 A “Scanner Configuration Utility” box will display. 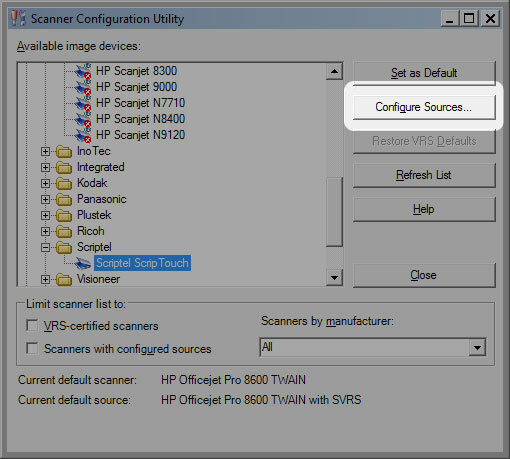 On the left side (see image below) is a box labelled “Limit scanner list to.” To see the Scriptel pad, you need to allow non VRS-Certified scanners to show in the list. 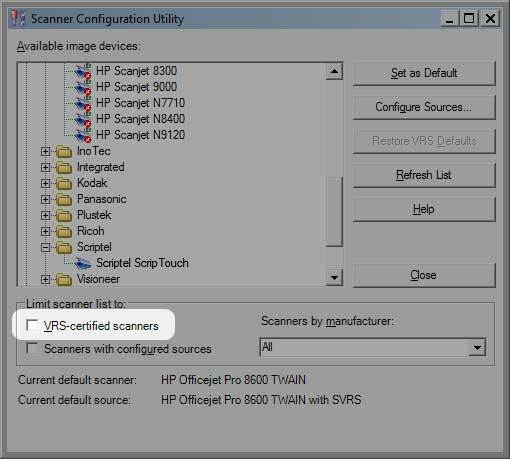 Uncheck the “VRS-certified scanners” checkbox. In the “Available image devices” window, you will see all of the available scanner drivers (see below). 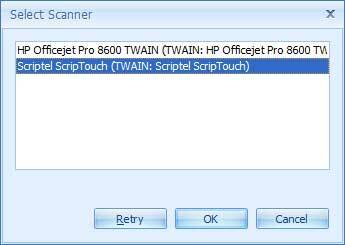 Make sure that “Enable TWAIN user interface” is selected. 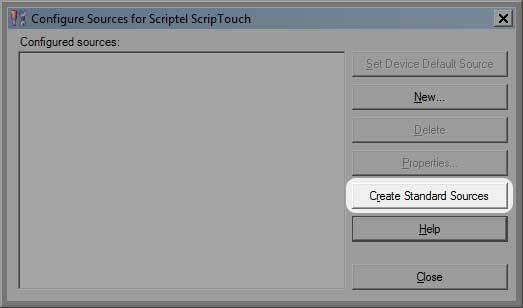 This will allow the Scriptel interface to pop-up. 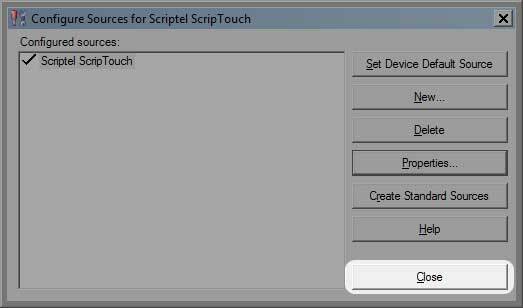 Requesting the scanner (acquire) will launch the listener and allow entry via the pad.